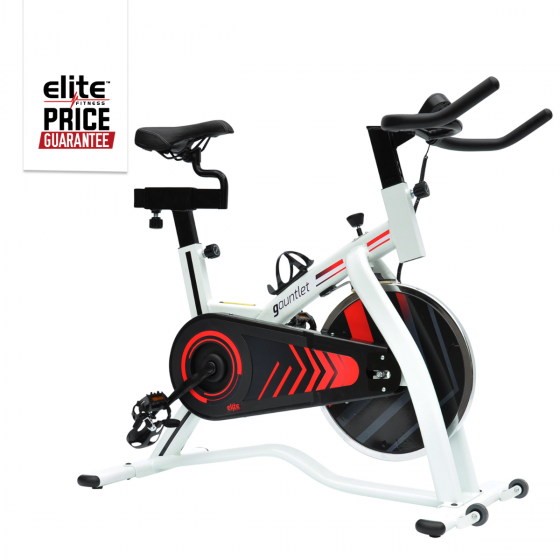 The Elite Gauntlet Spin Bike is the perfect entry level bike for beginners. Offering features including a multi-position seat adjustment to suit you, anti-slip toe cage pedals and adjustable tension control. Track your progress and keep yourself motivated with the valuable readouts displayed on the console placed on the handlebars. Pad-braking system with infinitely adjustable breaking power.